I never thought I'd see the day when I walked into a Starbucks and ordered something OTHER than a white mocha (iced or hot). I stepped out of my comfort zone, and ordered myself a "Passion Iced Tea", and my friend Mariya ordered her favorite summer drink, a "Green tea Lemonade". 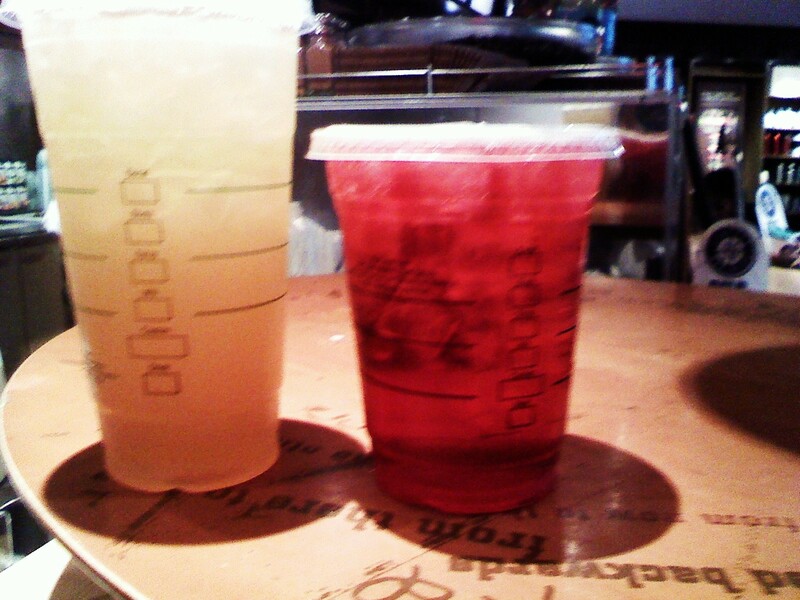 I tasted hers too, and both of them I'd order again. Just a little something new.